If you live in the Normal, IL area, let Kelley Construction Contractors, Inc. be your restoration & renovation contractors. We serve both residential and commercial customers throughout Central Illinois. 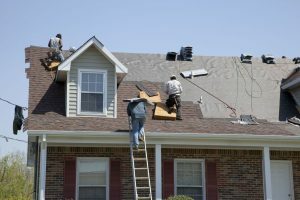 The great part is that we have a location right in Normal, so we are easy to get hold of and can tend to your needs quicker than any other contractors in the area. When you have a restoration or remodeling project, it’s important to hire a contractor that has years of experience with all types of projects. That’s exactly what we do. We are passionate about serving the Normal community, helping residents recover from fires, storms, floods, and other disasters. Call us or stop by our Normal location to get a quote on your restoration or remodeling project. Repairing fire damage is so much more than just getting rid of soot and smoke. We will completely restore your property to be a livable, safe place for you and your family. Most property owners don’t realize the damage that even small hailstones can cause. When a hail storm goes through Normal, call us for a professional inspection. Living in a midwestern town, you are unfortunately susceptible to storms throughout the year. Big, small, ice, or tornado, we can provide your storm damage repairs. When water floods your property, contact us as quickly as possible. We even have emergency crews available in times of dire need. Nobody wants to deal with a busted pipe or leaking appliance. Even more so, nobody wants to have to clean that up. We will gladly take care of that for you and restore anything that is damaged. Living with any amount of mold is dangerous and the only way to be sure it’s gone is to call for mold remediation from experts who know how to get rid of it. When disaster strikes, you want Kelley Construction Contractors, Inc. on your side. We serve all of the Bloomington/Normal metro residents and business owners, so if you are in the area, contact us for a free, no-obligation quote. Revitalize your kitchen and get expert advice on the latest trends and best materials. Are you ready to upgrade your bathroom or just start from scratch all over again? We can make sure the entire process goes smoothly and you are happy with your new bathroom. Remodeling your basement won’t be a stressful project when you let Kelley Construction Contractors, Inc. help. We will make sure your basement remodel is functional and fits your style. 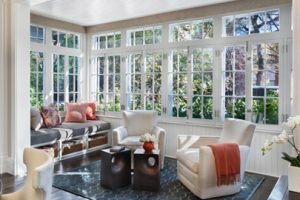 Enjoy a relaxing escape with one of our customizable sunroom additions. Let us show you how simple remodeling can be when you work with Kelley Construction Contractors, Inc. We will come to your property for an on-site estimate to provide you with the most accurate quote and timeline possible. Contact us today!